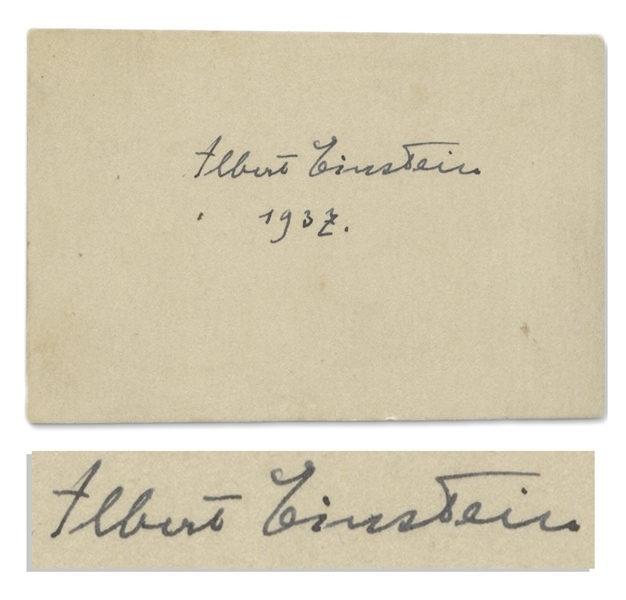 Albert Einstein signature, uniquely signed with his full name and then dated 1937. Card measures 3'' x 2''. 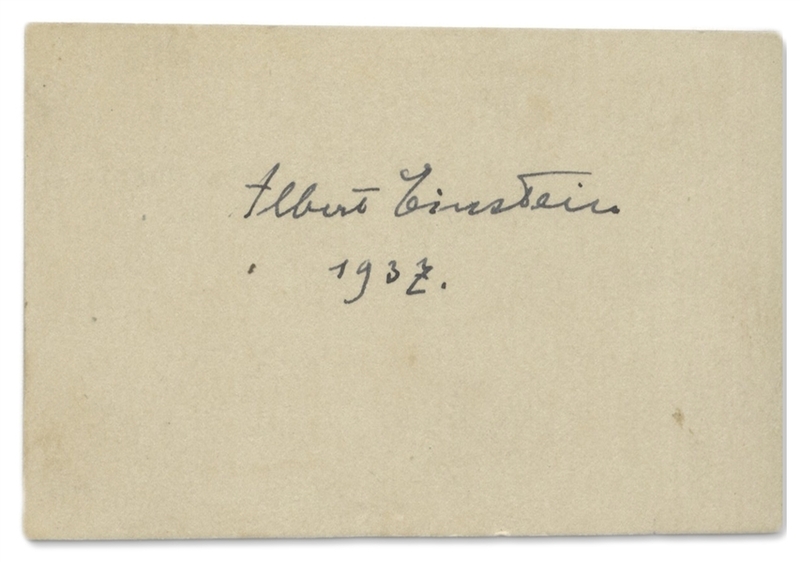 Light toning, else near fine condition.